The lab ready wide mouth Erlenmeyer are available in three sizes. 100, 250, 500 ml. 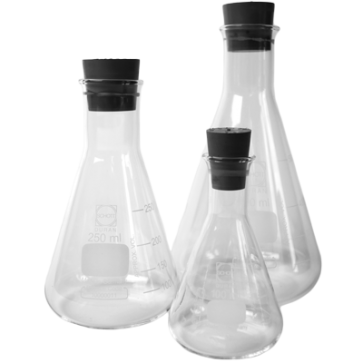 Use the Erlenmeyer to mix your mushroom spore solution, make a living mushroom culture or make your own Liquid Culture.